From Friday 22nd to Sunday 24th of March 2019, The Past Perfect Flash Sale brings you the luxury brand Good Earth. Doors open at 10.30 am and you can enjoy discounts up to 40%! Read our blog about India's leading design house. Here at Past Perfect we really celebrate antique colonial furniture from India. We love it! The quality is exceptional; the style is unrivaled. And this is why we adore Good Earth. A company whose ethos reflects our own and whom we admire for their outstanding quality and design. Established over 20 years ago in Mumbai with a craft focused approach to design, Good Earth makes beautiful products with an emphasis on everyday luxury. We have a gorgeous collection of their chinaware, bed linen and soft furnishings. All of which complement our beautiful colonial furniture perfectly and are the finishing touch to any room in your home. Featuring motifs of elephants and palm trees this collection is perfect for stylish living in tropical Singapore. Made from fine bone china and hand decorated with artwork decals and accentuated with 24 carat gold in vibrant greens and aqua. View the Indus dinnerware collection here. Majestic elephants and pagodas adorn this beautiful collection in a sophisticated palette of misty greys and pale blues. Indechine is a tribute to the imagined landscape common to India and China and is crafted from fine bone china and 24 carat gold. View the Indechine dinnerware collection here. This range is really special. 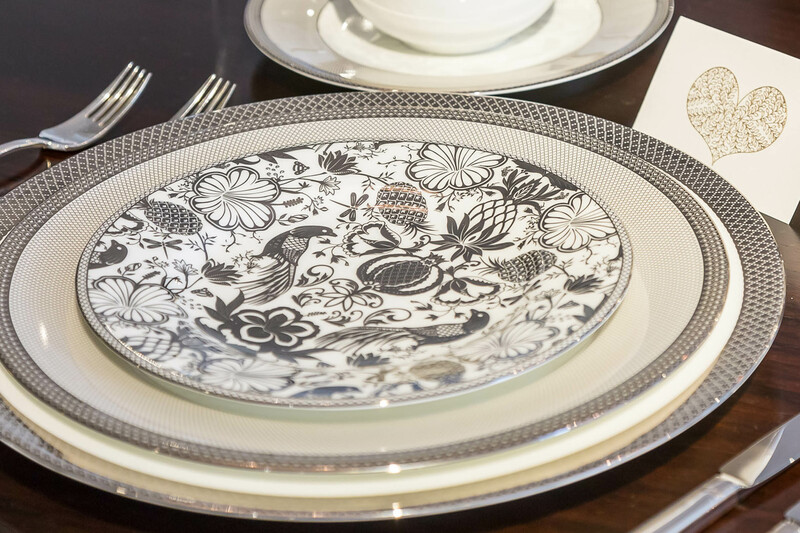 The fine bone china is skillfully made with a burnished platinum edge and dazzling platinum filigree. Birds of Paradise and pomegranates adorn the collection which is a tribute to Alexander of Macedonia, who was known as Eskander in Persia. A show stopping set. 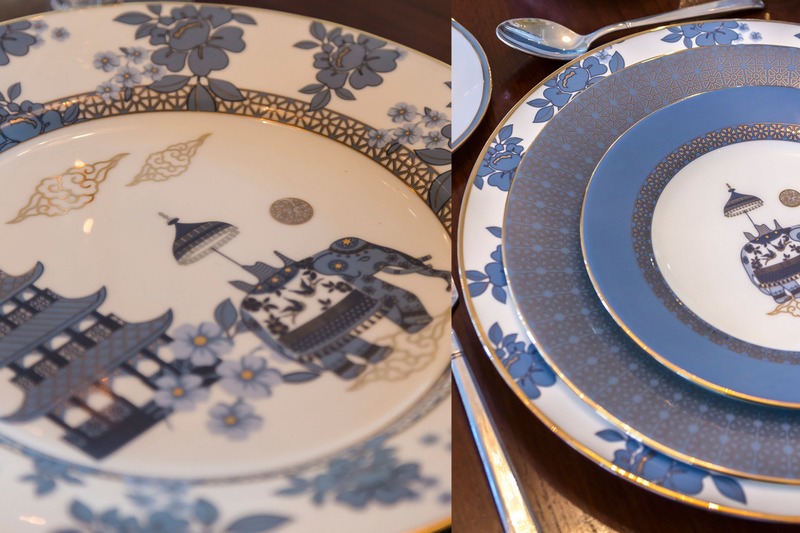 View the Eskander dinnerware collection here. A truly gorgeous set with leitmotifs inspired by a vintage Persian miniature, and the enchanting garden life of the Mughals. 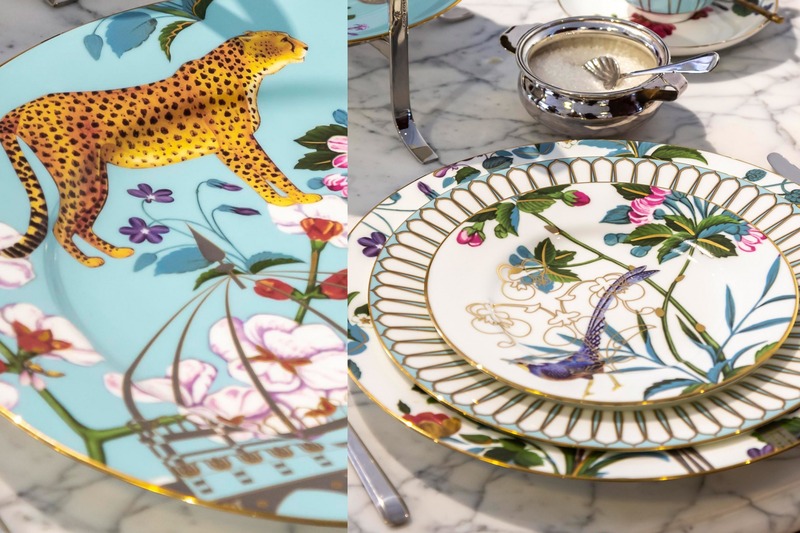 The collection captures intricate outdoor pavilions, birds and butterflies in an oasis of verdant blossoms, illustrating a paradise garden with accents of 24 carat gold. 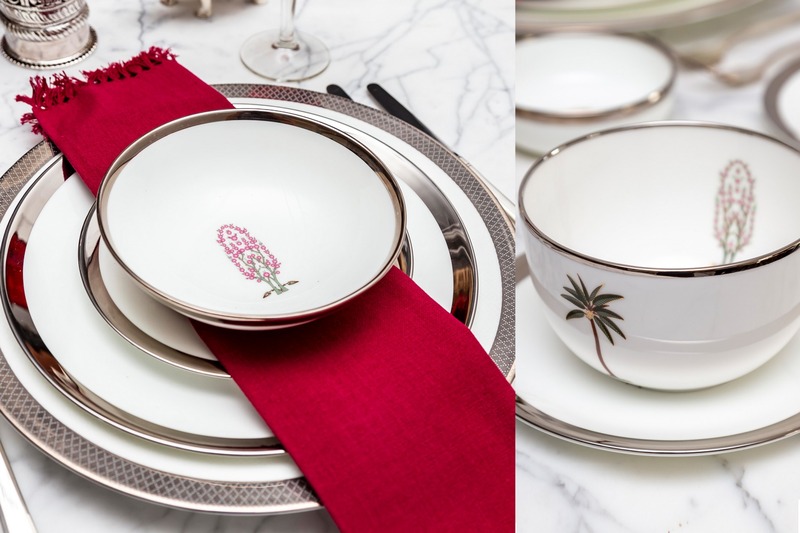 View the Rosabagh dinner collection here. View the Taxila dinnerware collection here. 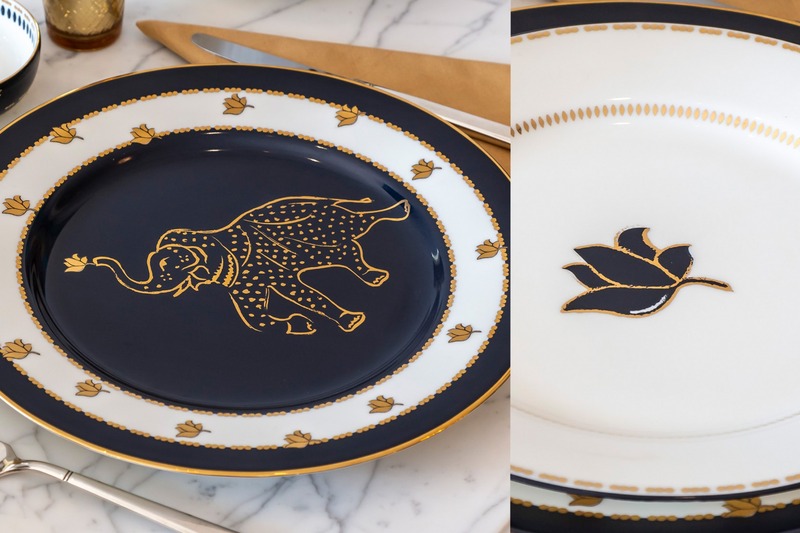 Beautiful, classic dinnerware with a delicate design that evokes the fragrance of flowers and the majesty of howdah elephants. Skillfully made in hand-decorated fine bone china, with highlights in 24 carat gold and platinum. 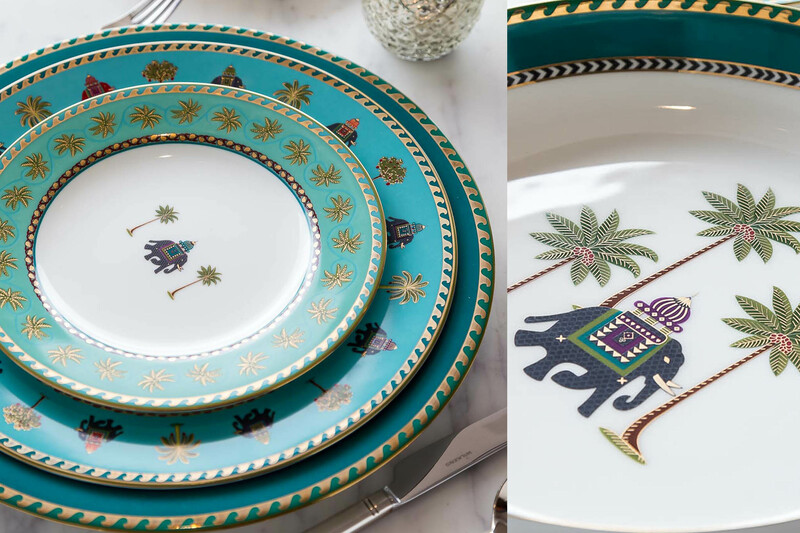 View the Malabar dinnerware collection here. This is a really fun and vibrant design made from porcelain. Featuring motifs of raw mangoes, chillies and coriander the colours pop in shades of vibrant green, cerise and indigo. 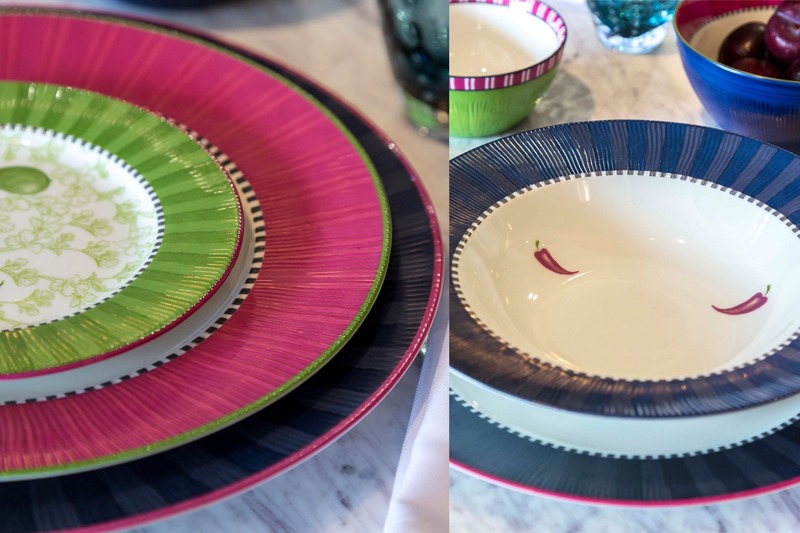 View the Mango Chutney dinnerware collection here. Complimenting our colonial furniture, are the Good Earth range of cushions and bed covers. 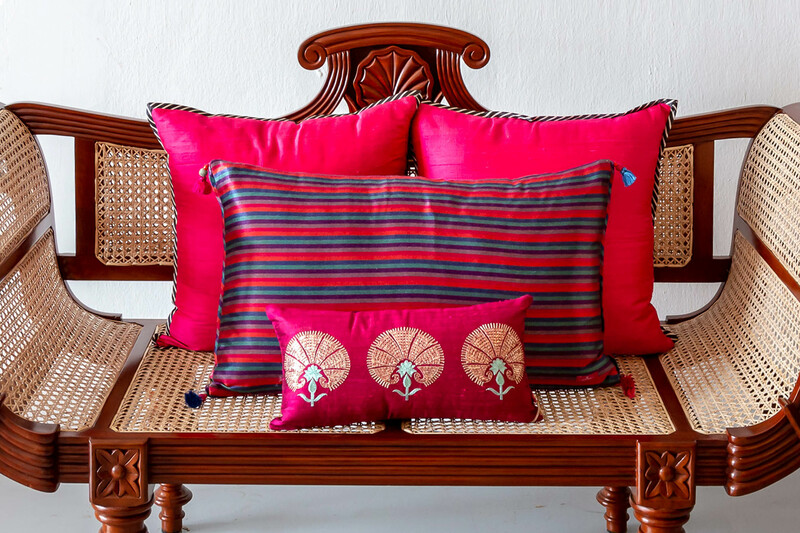 From vibrant ruby colours to cool tropical greens and earthy browns the cushions are all made with Indian traditions in mind. Natural materials such as silk, linen and cotton are artfully decorated with hand embroidered or block printed motifs inspired by nature. View Good Earth cushions here. 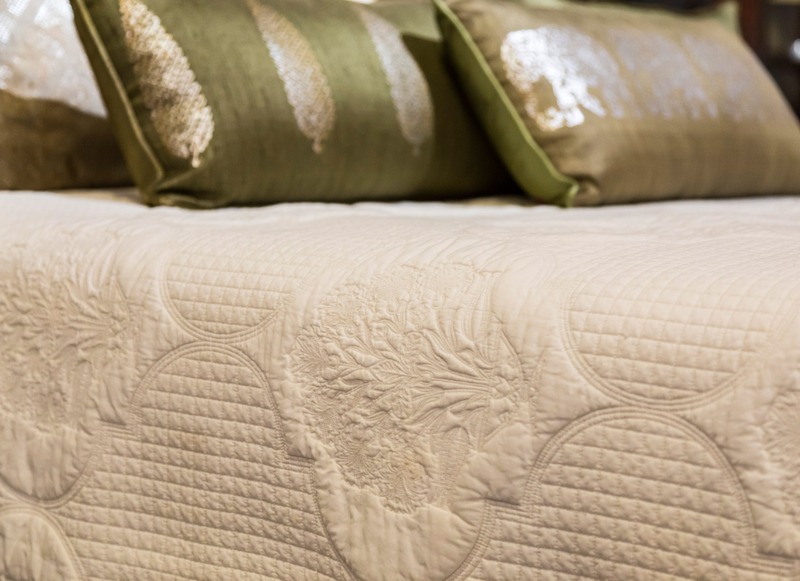 Good Earth’s luxurious bed covers come in a number of exquisite designs. They celebrate the rich textile heritage in India. From understated white-on-white embroidered covers, to beautiful hand printed covers using the finest natural fabrics and detailing. They are perfect for Singapore’s hot and humid climate.